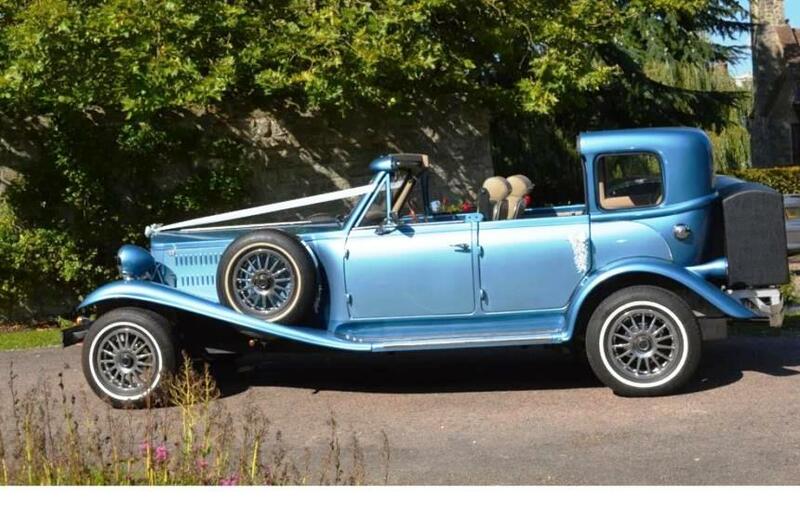 Beautiful 1930's vintage style Beauford wedding car. 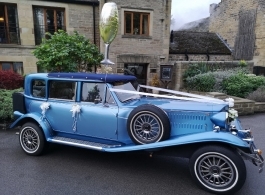 This long wheel base 4 door convertible wedding car in Metallic Blue is a great contrast against a traditional White wedding dress especially when the car is decorated with ribbons and bows - great for photographs. 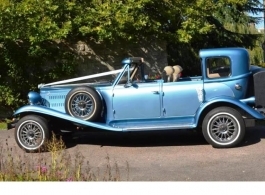 The Ivory leather interior has more legroom than the average Beauford therefore providing extra comfort for you on your journey to and from the wedding venue. 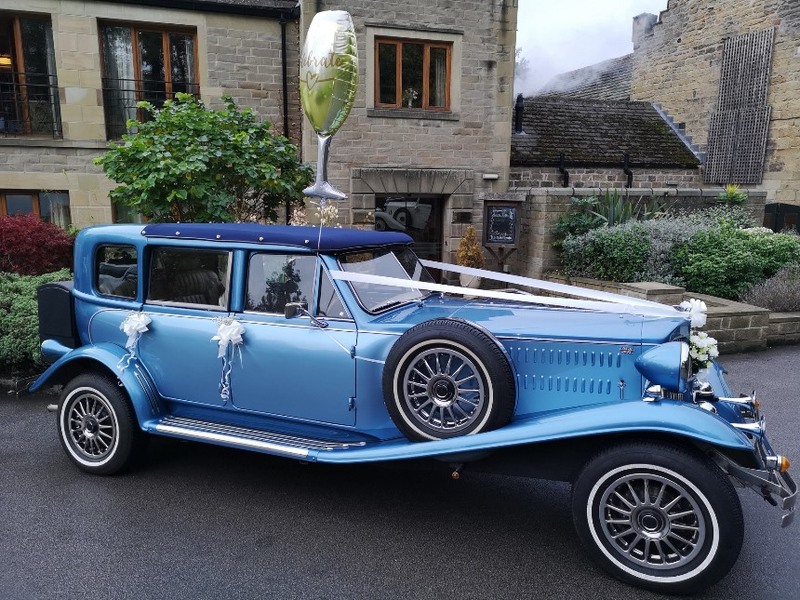 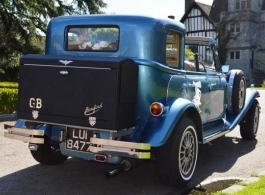 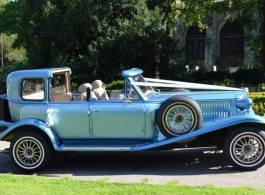 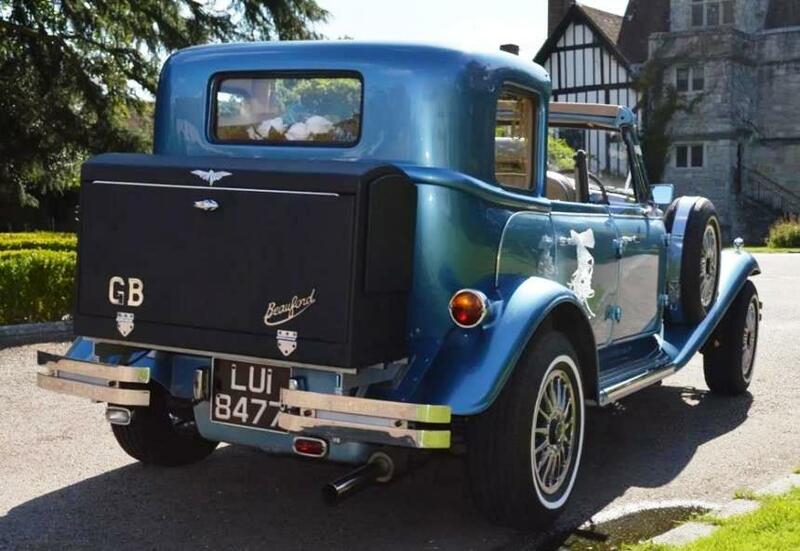 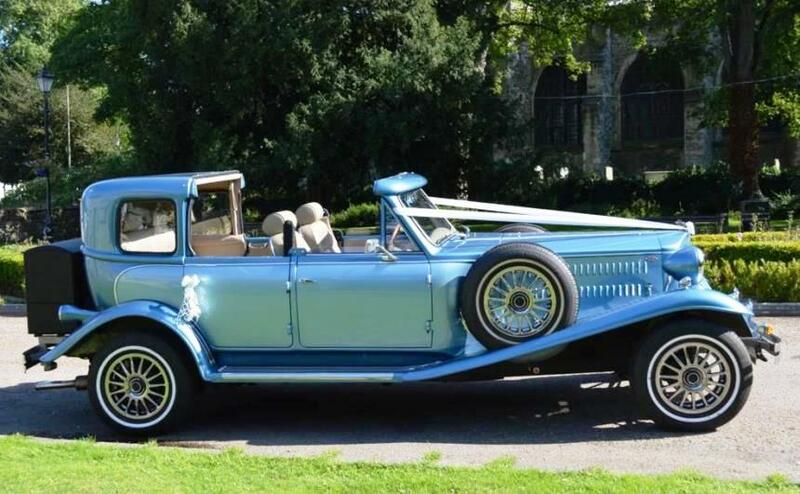 The Beauford will be beautifully dressed with bows, ribbons and flowers and the service includes water, tissues, umbrellas, red carpet (weather permitting), smartly suited chauffeur and a complimentary bottle of fizz.